The Indian Pariah dog was named so in the British era. It draws its inspiration from the pariah tribe of Tamil Nadu. They were considered an outcast, in the olden times this word had wrong connotations and in some cases was even considered derogatory but not in the canine world. It may come as a surprise to some but these are few of the only pure breeds that originate in India. There has been no human intervention in their breeding process, through any kind of selective breeding. These homebred or the pure village dogs do need much maintenance and make adorable family pets if you socialize them early. You do not have to look any further to get one home, you can adopt one of the numerous puppies available around you in the streets or from the shelter and just give them a cosy home. Urbanisation has given rise to a lot of inter breeding, leading to the rise of many street dogs that you can see around you. Not all of the street dogs that you may see can be called Indian Pariah Dogs. These dogs have a cautious temperament. These pure breds can adapt to any Indian weather, so you would not need to think much to bring them home. They are docile with the whole family and friendly with the kids though early socialization is the way to go with these naturally purebreds. One of the biggest advantages of this dog is that they are healthy and hardy breed. 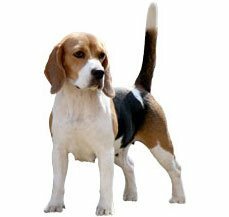 The Indian dog or the Indian Pariah dog is called by different names; they are called the pye dog, pie dog or the pi dog. These are naturally selected breed in the Indian sub-continent. They are also referred to as INDog by many dog experts and enthusiasts alike. Whatever name they are called, they are one of the oldest and the smartest breed to belong to the Indian soil. The origin of this breed is shrouded in history; no one knows as to when this breed came into existence, they have been always present in Indian villages and cities since time immemorial. In fact, historical references show that the Indian Pariah dog has been present in the country since the Neolithic times. No one knows for certain as to when did the domestication of dogs started there has been a growing debate between Asia and China. They have been a part of numerous mythology stories and they have been a part of various folk tales as well. Each one of us has been told a story featuring this breed in our childhood. So we do not think that you would be new to this dog breeds but we help you to clear a lot of inhibitions that are associated with them. The Indian Pariah dog as we discussed earlier has been present in the sub-continent for a long time. This has helped them to be one of the most adaptable dogs. These dogs have bred through natural selection and without any human intervention. This gives them a distinct features and all this without any human intervention. The Pariah dogs is one of the healthiest breeds around they are not prone to any specific medical conditions. 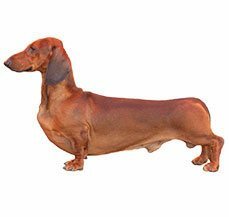 So getting this breed will keep the vet bills to the minimum as they will be free of all allergies and most skin issues that some pedigree dogs are prone to. The Indian Pariah has been a part of a plethora of movies and television soaps. There has been a regular feature in Bollywood. As we discussed earlier there has been numerous movies with these dogs, there have various been shots where they have made brief appearance. Though here is a list of movies that feature them substantially. This includes Rani Mukherjee starrer Aiyya and Chillar Party. We will be updating this section as soon as we can find more. The Indian Pariah dog has found admirers amongst celebrities as well. Tushar Kapoor and Abhay Doel are proud owners of this breed. Indian Pariah dogs do not require much maintenance when it comes to their grooming. They shed all year round but the absence of undercoat ensures that you do not see hair all over the house. Regular brushing will keep this problem to the minimal as it can easily and effectively remove all dead hair from the coat. They have a short and coarse coat and grooming them does not take much of your time or effort. Just take a hound mitt or a brush and brush them all over to prevent further shedding. They have less oil glands on the coat, which does helps to prevent all odor and helps them to stay clean at all times. You should brush your pet’s teeth regularly to prevent formation of all plaque and ensure fresh breath at all times. In addition to this, the nails of your dog have to be trimmed regularly to ensure that it does not injure itself. When it comes to health and cares this is one of the healthiest dogs as they have evolved by themselves making them least susceptible to any of the diseases. Though, there can be times when your pet can fall prey to almost any disease. This can happen because of numerous reasons. Indian Pariah makes excellent family pets and are good with children as well as adults, though they need early socialization with children and family members. This will help them to acclimatize to the other pets or children in the house. If trained properly they can be great pets for children of all age groups. Indian Pariah in general is a bundle of energy so they would need regular exercise that is on everyday basis. They make appropriate pets for people who love to run or just go for a long walk. They make excellent watch dogs with their abundance of energy and inquisitive streak. So if anyone is at the door and of there is an unsolicited presence within your home. Your Pariah will inform of you with some relentless bark at times. The Indian Pariah is a versatile breed and almost suits every household and there are not many qualms associated with this breed as far as the environment is concerned. They are perfect for all weather Indian weather conditions. These village dog over the years has mastered the art of adapting to the Indian weather. Indian Pariah are one of the most trainable dogs around because of their high intelligence. You just have to identify the temperament of the puppy, there might be some puppies that may be shy to start with and take time to train but remember one thing that every dog will train at its own pace. Always start with the basic training commands such as stay, sit and down. This is an intelligent breed and learns to adapt quickly. The best way to train them will be with the help of treats; this breed will love to be acknowledged for its behaviour. 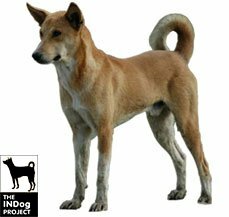 The Indian Pariah is an average Indian dog breed that can be easily seen all over the Indian villages and cities. These versatile breed comes in a variety of sizes and colors. One thing you can be rest assured of is that it will give you oodles of love and affection and be your loyal companion for at least 12 to 4 years, which is an average for the breed. The Pariah’s body is deep chested but not too wide. It has slightly arched lions, which facilitate it to run. In addition to this they have straight forelegs accompanied with rounded hindquarters. 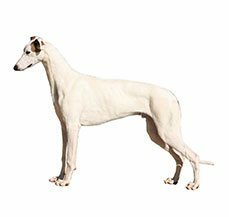 The head of this breed is long with a flat topped skull, which comes to a moderate spot. Their nose can be of various colors. The ears and eyes of this breed come in a plethora of shapes and colors. The tail is also either straight or curved at various times. The feet of your Indian Pariah is round and compact with well arched toes. The nails are also white in color to match their spots. The coat can vary in its texture and color but will mostly be short and smooth and will have a double coat.